Solve Coverage Issues Quickly and Easily. Sometimes radio systems require the use of a repeater. A repeater increases the range and capabilities of your portable or mobile radio communications, solving coverage problems quickly and easily.They can also be easily made into a Base Station allowing a desktop operator to communicate with other radios in the field. With a long list of built in features, the VXR-7000 Series Base/Repeater Station sets the standard for mid-power, continuous duty base station and repeater applications. This unit offers unmatched features for all segments of industry and Public Safety. Whether used as a base station, with its attractive housing and user-friendly controls, or as remote repeater in the most demanding environments, the VXR-7000 will provide years of reliable service. 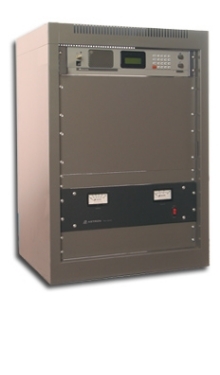 The VXR-7000 is a base station / repeater. 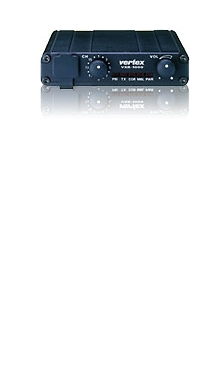 As a base, it can be used with the optional MD-11A8J desktop microphone. It has a front facing speaker for loud and clear receive audio and 16 channels to select from. The built in DTMF decoder is a perfect fit with our Emergency and ANI functions built into our mobiles and portables ! As a repeater, it has a built in multi-tone feature that allows it to operate up to 16 sub-audible signaling tones on a single channel ! It can also be used at the same time as a full featured repeater and a base station. If the dispatcher presses the PTT, it automatically switches to base mode and switches back to repeat mode as soon as the PTT is released. 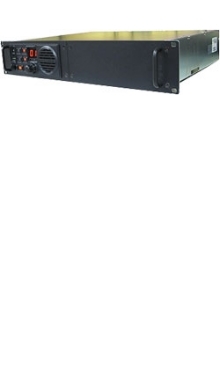 The new VXR-9000 is a rack mount 50 W, 32 channel repeater. It can be used in Base or Repeat mode. Six programmable function keys are located up front for easy operation. With over 20 different functions available in programming, the function keys can assist with common functions custom designed to your needs. There is an up front loudspeaker with volume for monitoring. Add the optional desk mic and you have a fully function base station with 32 channels and scan. The rear panel has inputs for backup power if your main DC power supply should fail (there is no internal power supply). If the repeater does revert to the backup DC supply, it can be programmed to send a CW alert over the air to let you know of the problem. There are many programmable CW messages that can used. 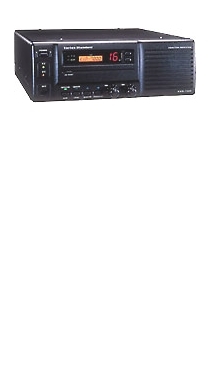 Features like intelligent built in fan, command sequences, multi-tone operation push this repeater to the next level ! Base-Tech II Dispatch Base Station, Includes: 31 ½' Cabinet, Power Supply, TX/RX Relay, Microphone, and necessary cables.